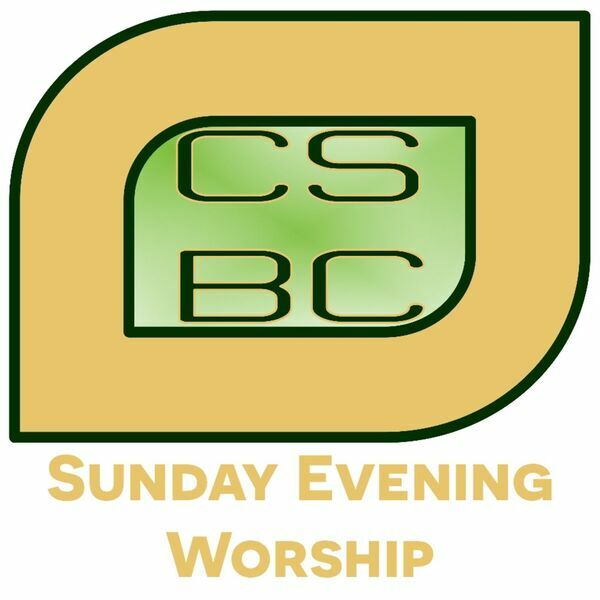 Weekly sermons from Cedar Street Baptist Church. 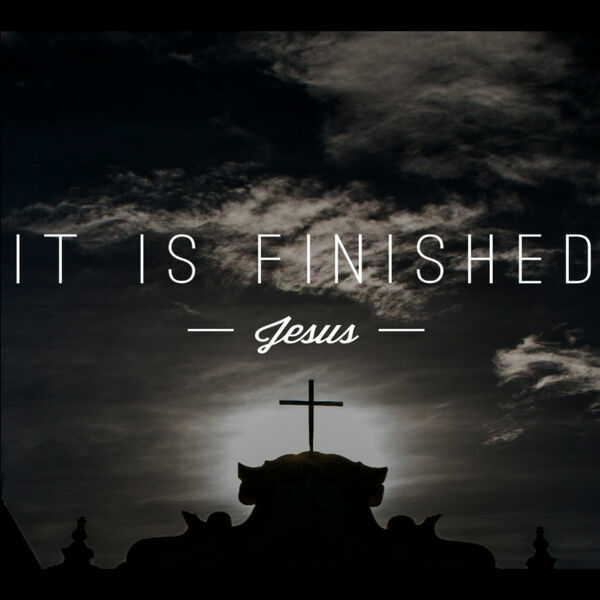 Do you know that the final words of Good Friday can become the full glory of Easter Sunday when we celebrate the finished work of Jesus Christ? Do you know that the fruit of a man's mouth will yield a harvest of death or life? Do you know that the tongue of the wise speaks words full of grace & truth? Do you know the damage that can be caused by the words of a whisperer? 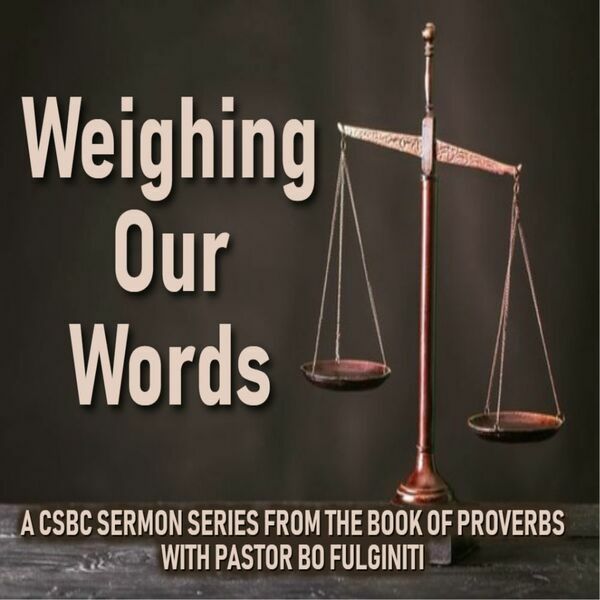 Do you know what the righteous truly gain when they learn to restrain their words? Do you know when Christ returns, that will be the day of final judgment and eternal restoration? What happens when you serve God by the book? Will you return to God so that He will return to you? Do you know the groundwork of God's justice? Do you know the fate of a faithless marriage? Are you a spiritual leader who always seeks to honor God's name? What is God's purpose for our lives? Do you know what your daily worship is truly worth to God? 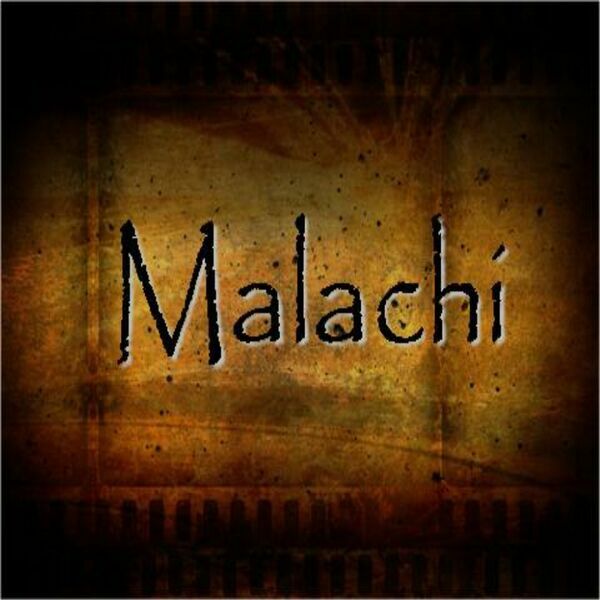 "A Short Summary of the Old Testament Storyline"
Pastor Bo Fulginiti recaps the Old Testament from Genesis to Malachi. 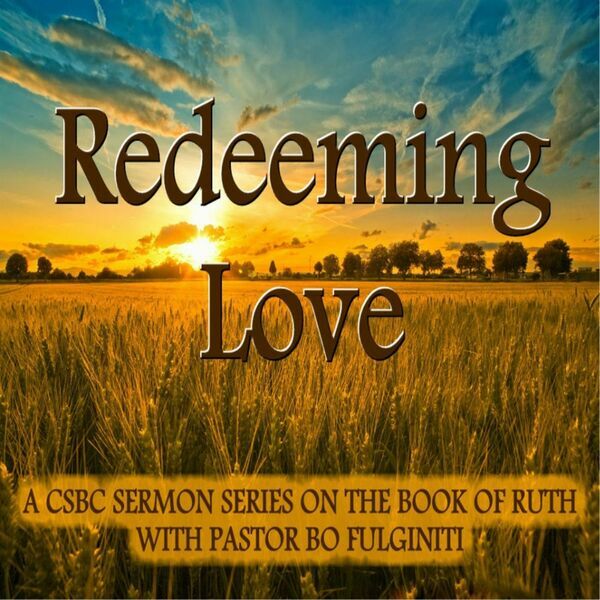 Do you know the gracious love that God has shown to His covenant people? 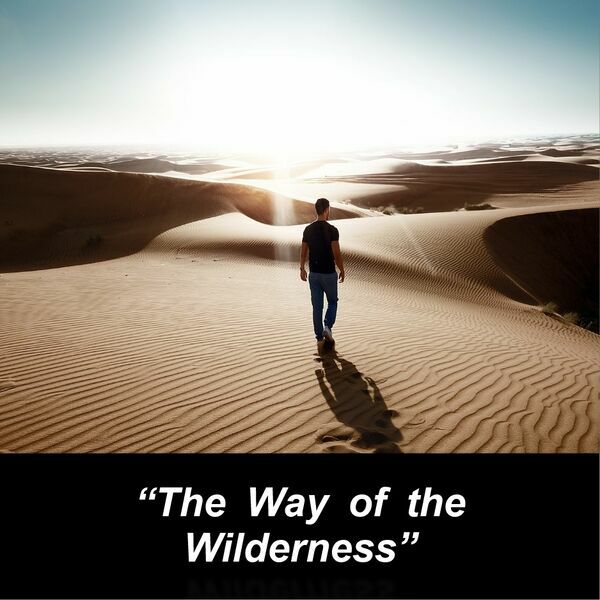 Are you prepared to walk the way of the wilderness in 2019? In the quiet moments surrounding your own storms, have you confessed that Jesus is the Son of God? Do you know the surprising growth that is taking place in God's sovereign kingdom? Do you know the secret work God is doing right now to build His sovereign kingdom? 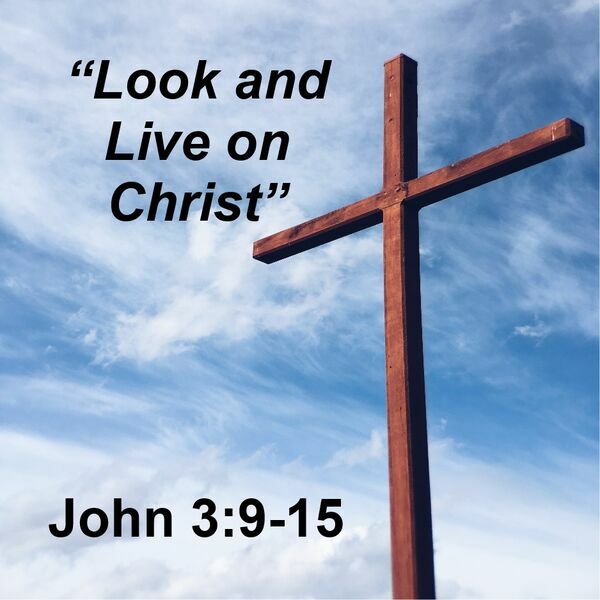 "Look and Live on Christ" - John 3:9-15. How will you respond to the light of Christ that comes to you? When the gospel finds your garden, what kind of soil will the seeds fall on? 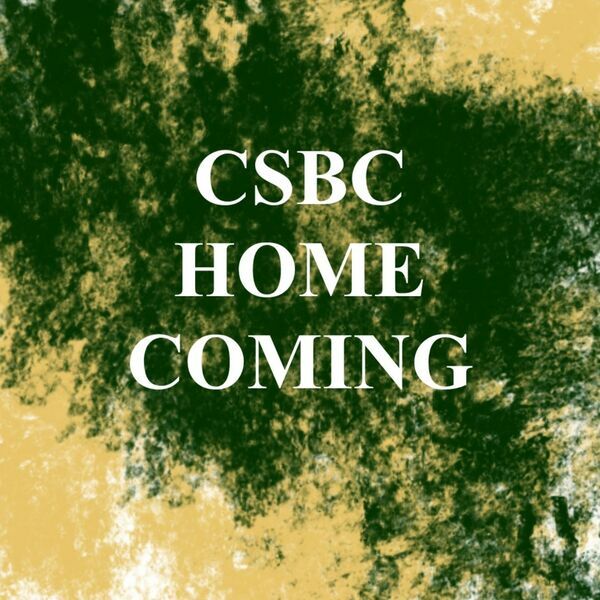 Do you know that gospel transformation always takes place in a covenant community as Christ's Body? 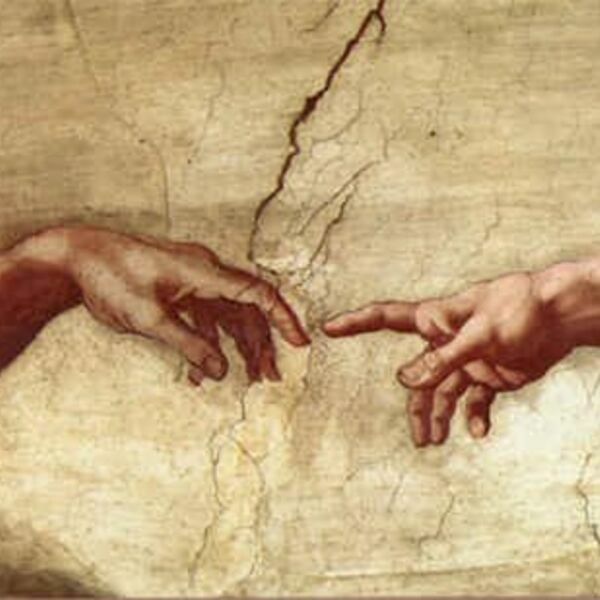 Do you know that gospel transformation always moves from our head to our heart to our hands? Do you know that gospel transformation always moves from our head to our heart? Do you know that gospel transformation always begins by seeking the mind of Christ? Do you know how to fight for your faith? Do you know that in godliness we gain something the world can never offer? Do you know the kingdom commitments each gospel-centered congregation is called to make? 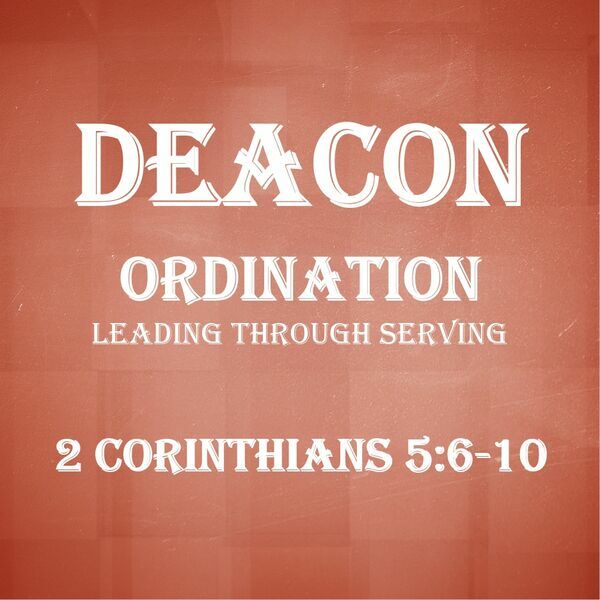 Sunday, September 9 2018 Evening Deacon Ordination Service. Do you know what a pastor must prioritize according to God's Word? Are you ready to pursue godliness by going into gospel training? 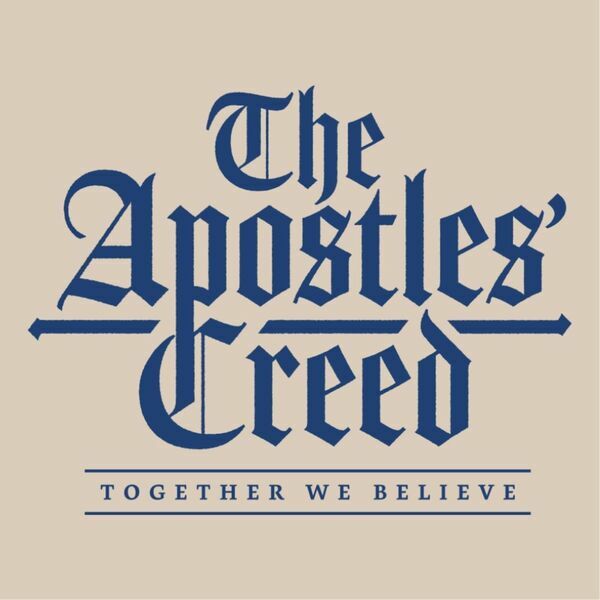 Are you prepared for the Spirit's prophecy of future apostasy in the church? Do you know how you are called to behave in the household of God? 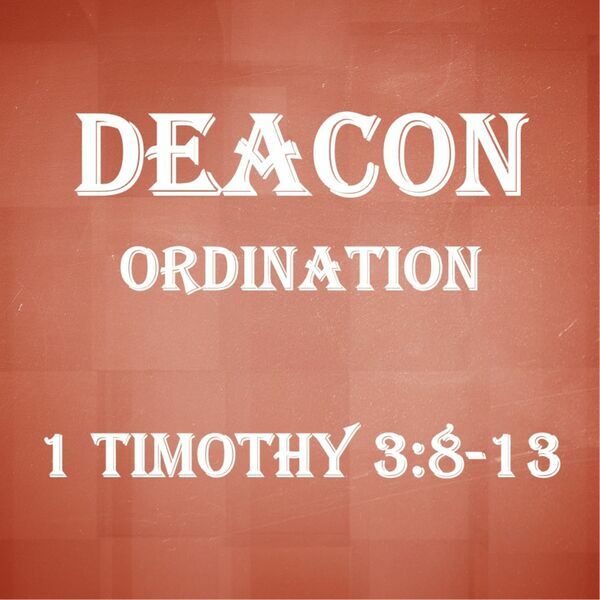 How do deacons build up Christ's body and help Christ's kingdom grow? How do elders prepare Christ's bride for a marriage that lasts for all of eternity? 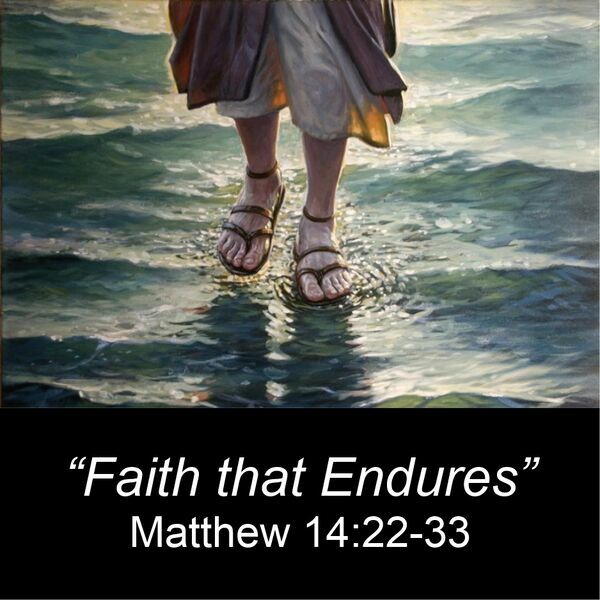 Is your faith strong enough to endure? 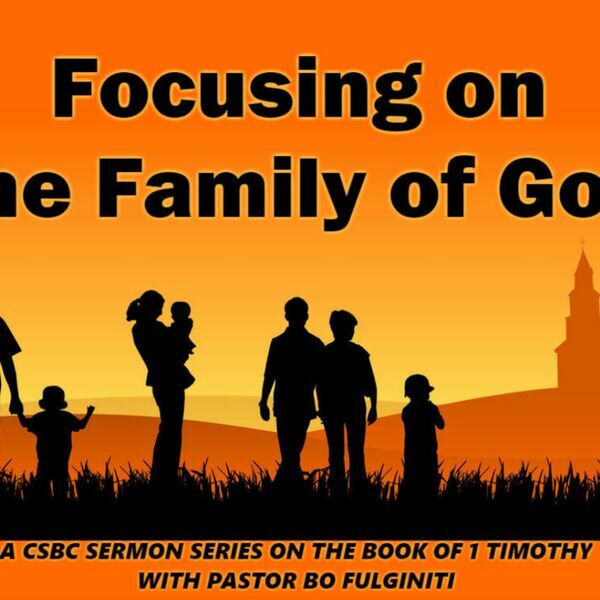 Do you know how God designed the roles and structure of His family in the church? Do you know the gospel message of love that God has for all people? How often do you thank God for grace? 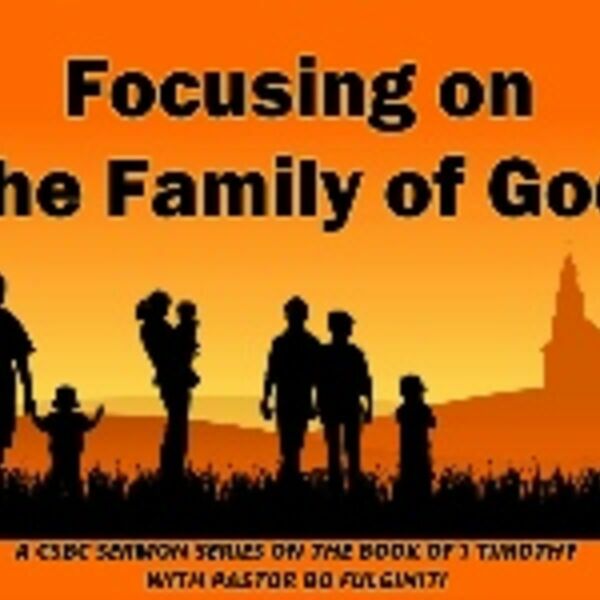 Do you know what happens when God's family disregards the truth of God's law? Do you know where to find true rest for your soul? 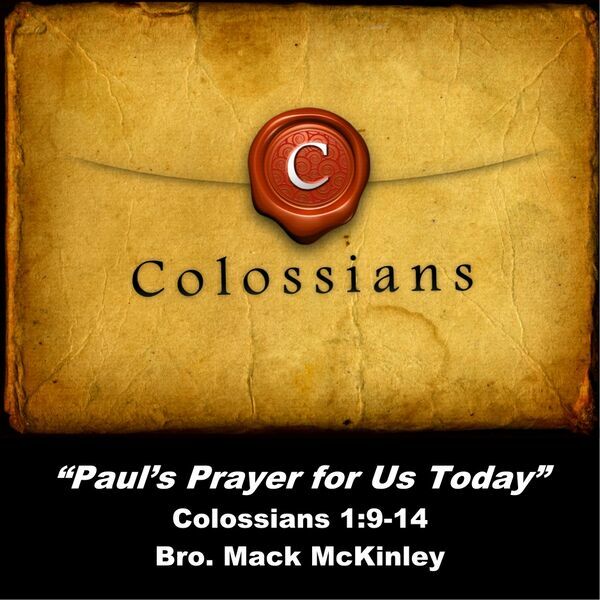 We should live out our identity in Christ praying and striving for the life reflected in Paul's prayer. 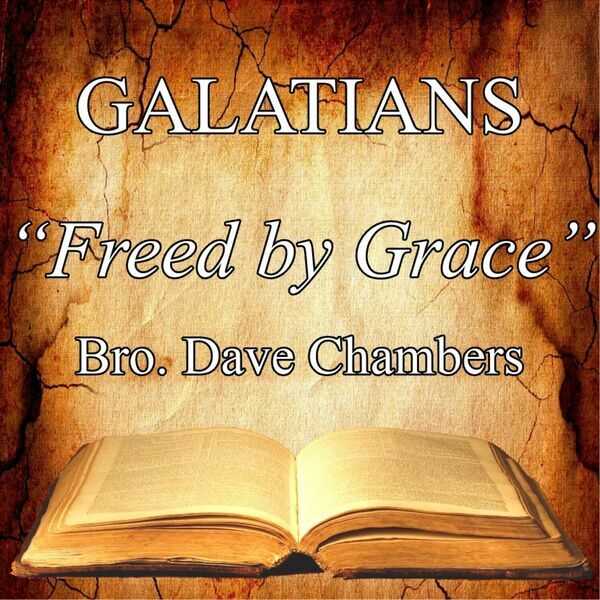 As Paul Closes his letter to the Galatians he calls us to boast in the cross of Christ. 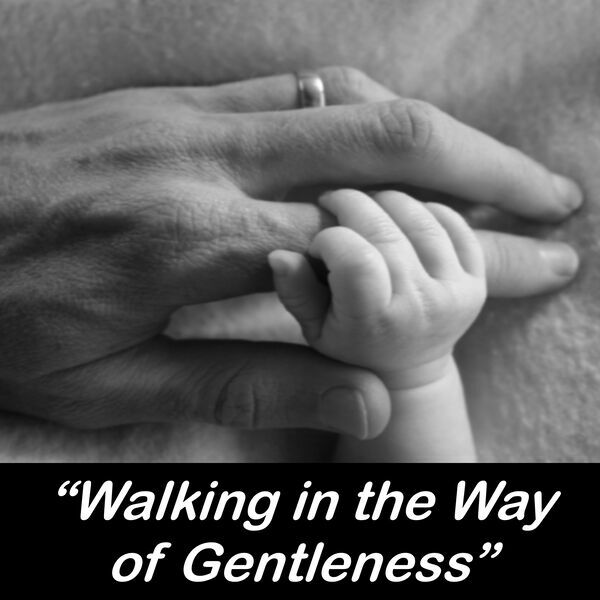 Do you strive to walk each day in the way of gentleness? God saves us and empowers us by the Spirit in order that we may live in community with believers who fulfill His mission in the world. 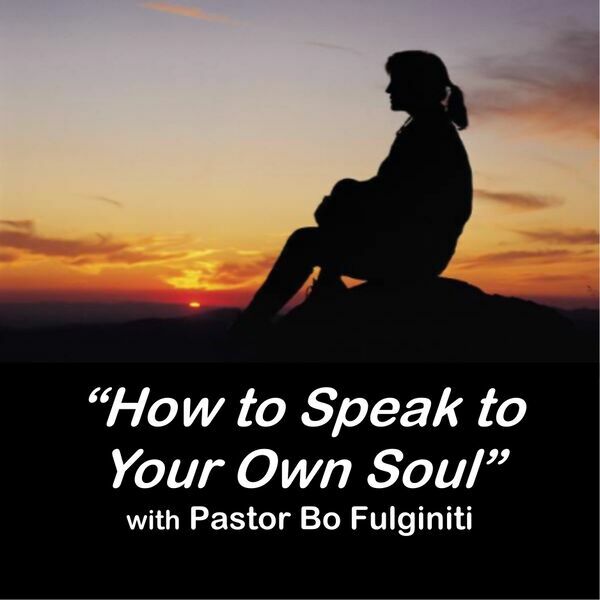 Do you know how to speak to your own soul? Did you know that the delight of your heart will ultimately determine the destiny of your soul? As believers we are all called to walk in a way that honors Christ - we are called to walk by the Spirit. Do you know the only friendship that is founded on fear? 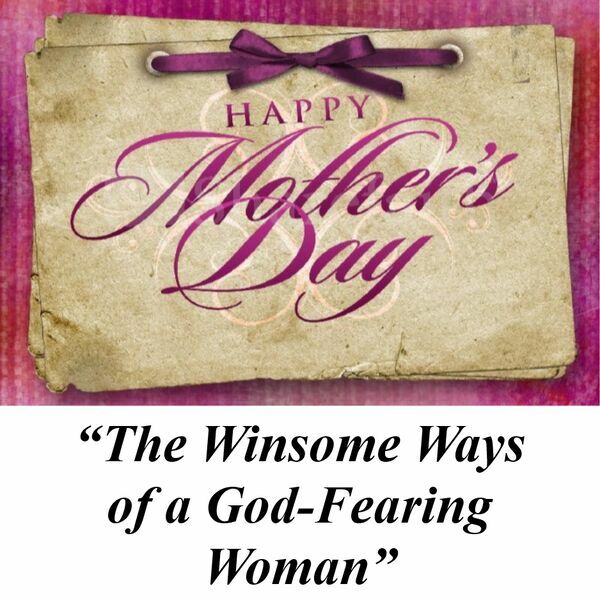 Have you ever noticed the winsome ways of a God-fearing woman? 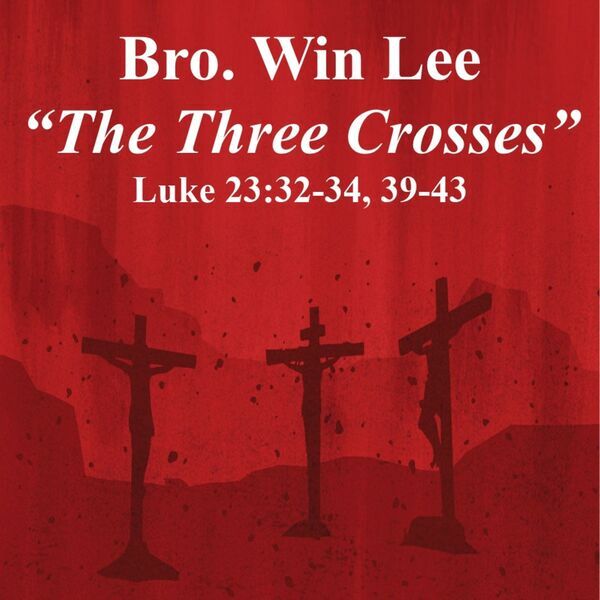 The way forward in the Christian life is to not look backwards but to look towards the cross. Do you know the way to gaining wisdom in God's eternal Kingdom? 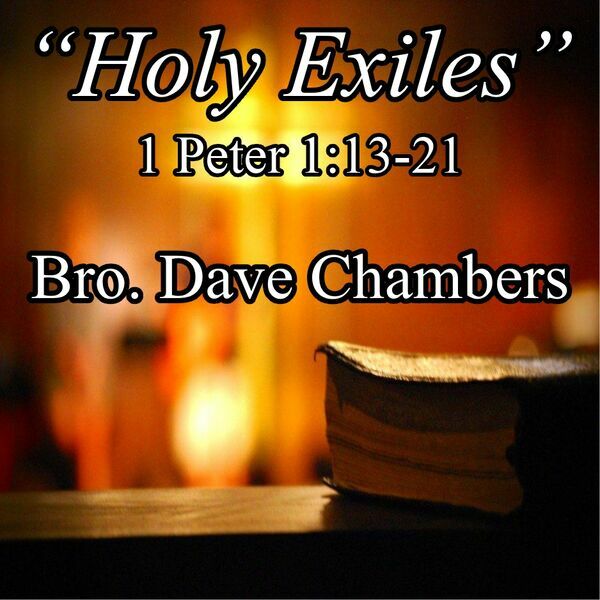 Everyone who believes in Christ is called to be apart of the mission of the gospel and called to be holy exiles. Not only has God redeemed us, but He has also adopted us as well. Have you celebrated being a part of God's great restoration project for His eternal Kingdom? Have you ever counted the cost of redemption for your life here on earth and for all of eternity? 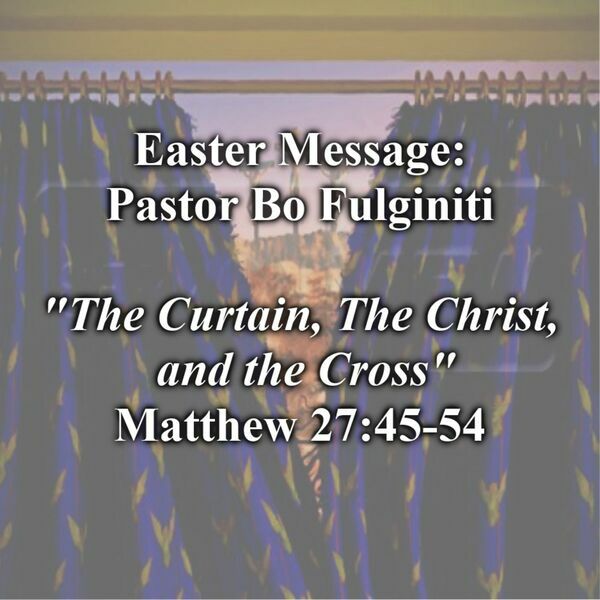 Have you ever heard the Easter story about the Curtain, the Christ, and the Cross? Do you have the strength required to be submissive to the sovereign will of God? If you are willing to face the brokenness of your sin, are you also willing to go after the grace of God? 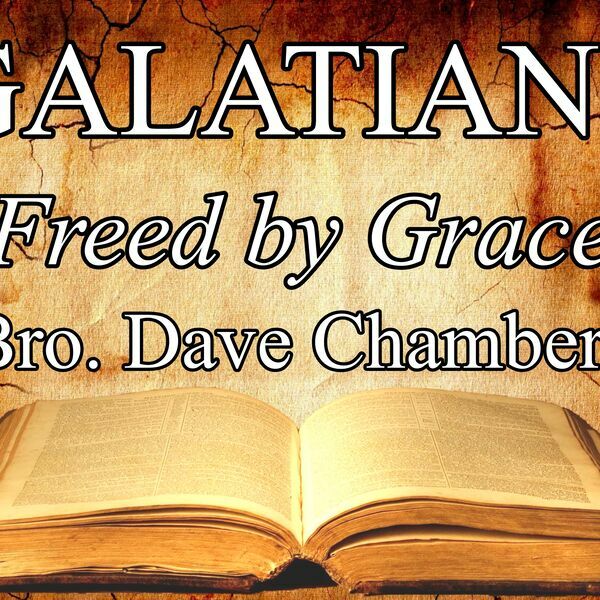 Paul describes how his gospel is not from man but from God and then to combat the false gospel of works he shares his story of how the gospel of grace transformed his life. Does this uncertain world make your heart long to find loyalty? Where do you turn when you need to pick up the broken pieces of your life? How often do you practice being aware of God's relational presence in your daily life? Which circumstances in your life do you struggle the most to find patience? When was the last time you witnessed God's power at work in your life? Do you remember what it is like to pursue someone you love? Is there any promise made to you that is greater than God's relational presence? Could you be happy for all of eternity if you had everything except for the presence of God? How would you describe God's presence in your daily life? 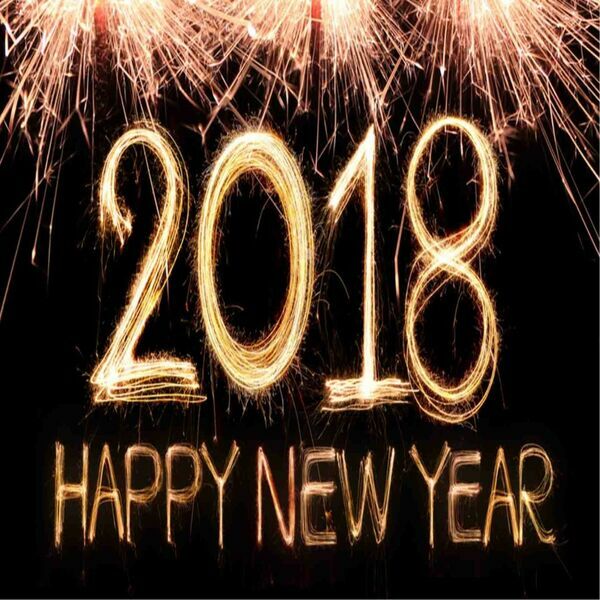 Will your 2018 be a good year in the eyes of God? Could you be identified as a member of God's family because of your obedience to God's will? Do you believe you could ever commit a sin so severe that even God wouldn't forgive you? How does the mission of your life fit with Christ's mission for the Kingdom of God? Have you hardened your heart towards God or anyone else in your life? Have you ever given thanks to God for His holiness and His love? Do you share the heritage of those who fear God's name? 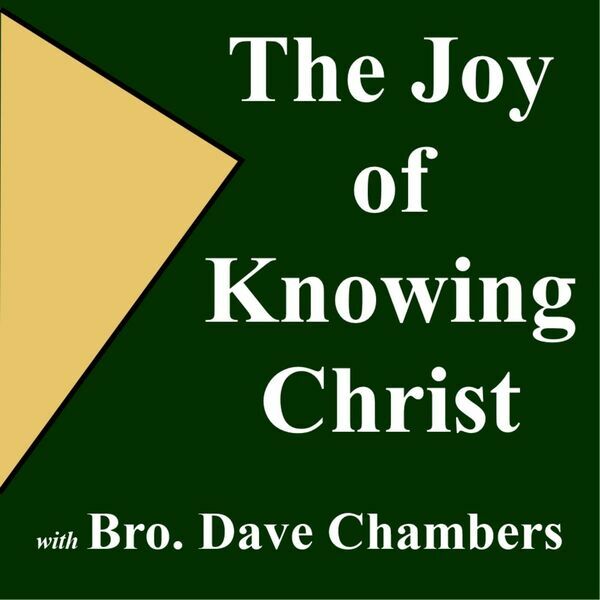 Understanding the Bible Unit 5.3: "Moving Towards Meaning Through Interpretation"
Bro. Dave Chambers is the guest speaker for this morning. Understanding the Bible Unit 5.2: "Opening Up with Observation"
Do you seek God's strength over your sin? Do you freely receive and offer the forgiveness of God in your daily life? 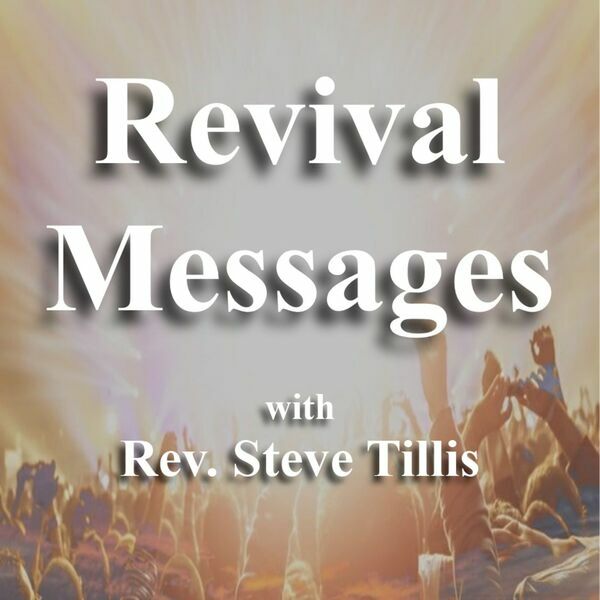 Revival reminds us that grace is God for us, God with us and God through us. 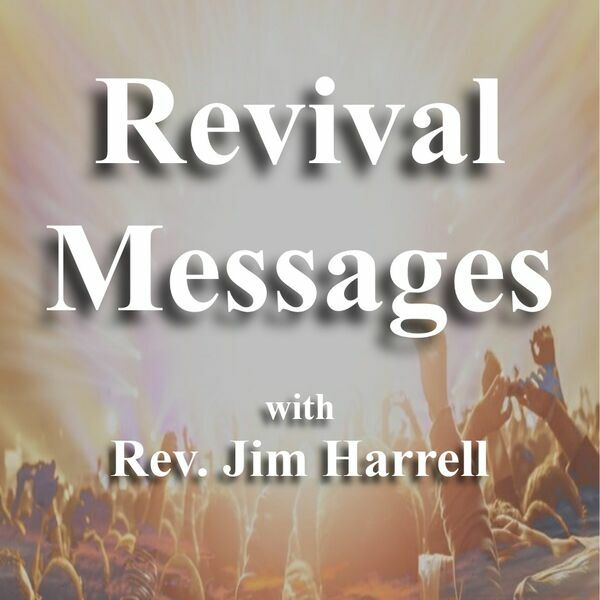 A prayer for Revival is a prayer for God's people to wake up. Being ready for Revival means looking up to God and looking down to yourself. The purpose of Revival is to find your satisfaction in Christ. Do you depend on God for the little things as much as you do the big things in your daily life? Has God reclaimed His seat as king on the throne of your heart? How do you picture God when you are praying to Him? Do you believe your prayers actually make a difference? Are you patient in times of suffering because of your faith in God's sovereign purposes? Are you using all your resources to build God's kingdom or your own? What is your life if you boast about your plans for tomorrow but won't fulfill God's will for you today? Understanding the Bible Unit 4.1, "The Issues and Implications of Inerrancy"
Do you realize what happens when you slam the gavel down in judgement against your neighbor? This message was preached by Pastor Bo during the deacon ordination service. Do you know that if you are a friend of the world you are an enemy of God? 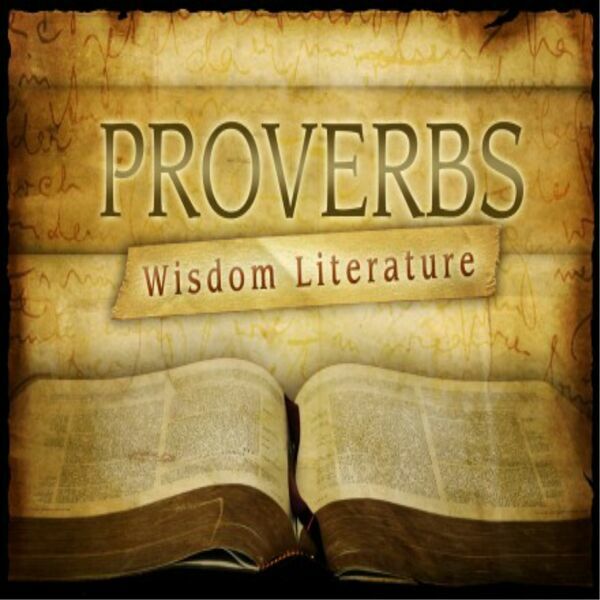 Does your wisdom for daily living come from above or below? 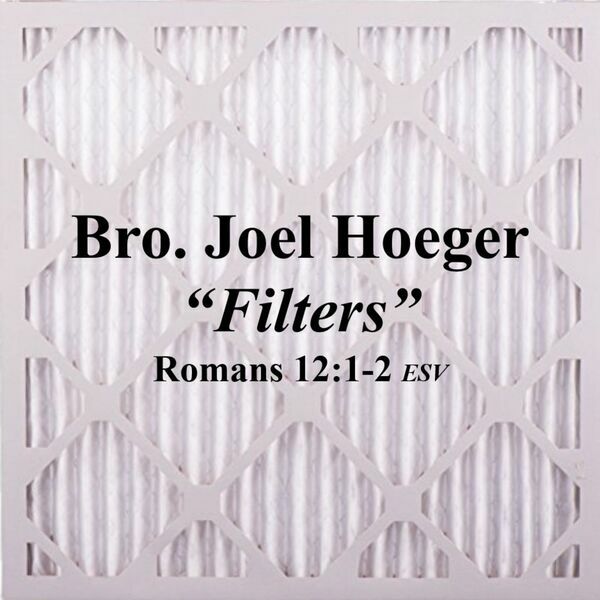 God has given you filters in life. Are you using them? Understanding the Bible Unit 3.6, "Finding the Keys to God's Kingdom"
Do you know the power of the untamable tongue? Is Your Faith Expressed in Your Words or In Your Works? 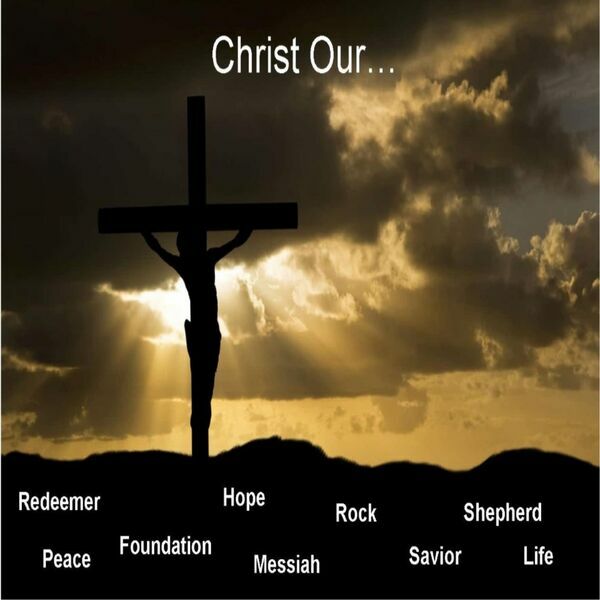 Understanding the Bible Unit 3.5, "All Signs Point to a Savior"
Understanding the Bible Unit 3.4, "The New Testament: Christ Establishes a New Covenant and Builds a Church"
Do you live your life by a law of love? Does your faith have any room for favoritism? Understanding the Bible Unit 3.3, "The Old Testament: God Establishes a Covenant and Builds a Nation"
Whenever I do something for the Lord, the first question I ask is, "Why am I doing this, Lord, and will it bring honor and glory to Your Name?" 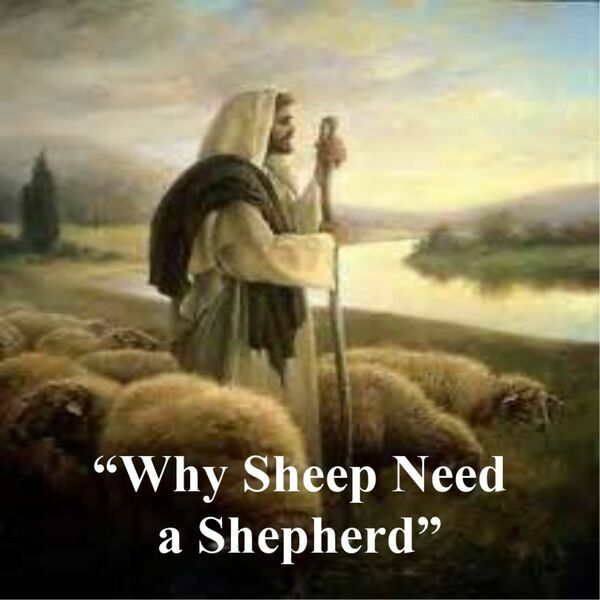 "Why Sheep Need a Shepherd"
When we understand how sheep behave, we will understand why the Lord wants to be our shepherd. What's the most important thing you learned from your father? 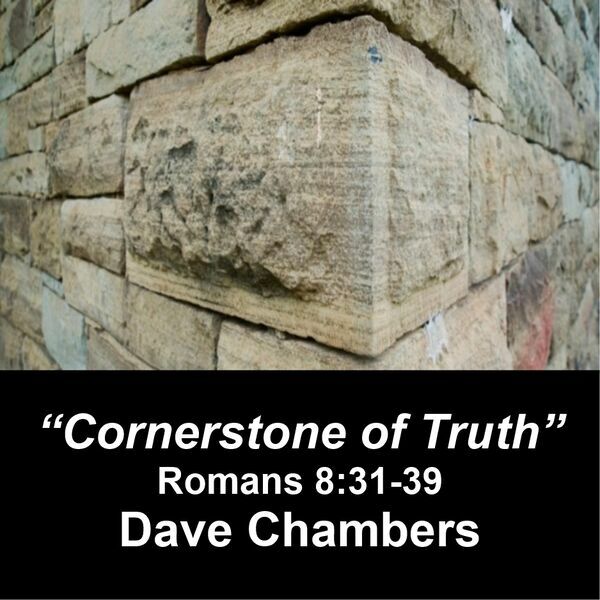 Understanding the Bible Unit 3.2, "Grasping the Gospel at Ground Level"
Do you consider yourself a truly religious person? Are you a doer or just a hearer of God's Word? 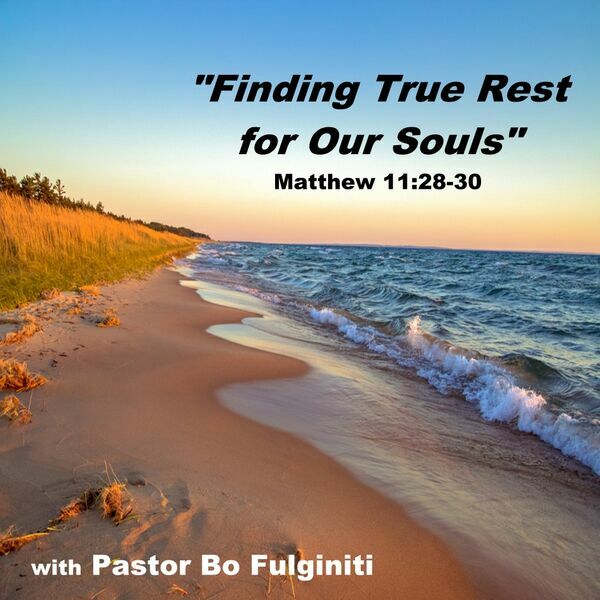 Understanding the Bible Unit 3.1, "Stepping Back to See the Big Picture"
Understanding the Bible Unit 2.6, "Getting Lost & Found in Translation"
Do you struggle to hear God? Understanding the Bible Unit 2.5, "The Process from Preservation to Publication"
Has a trial in your life ever caused you to doubt the goodness of God? 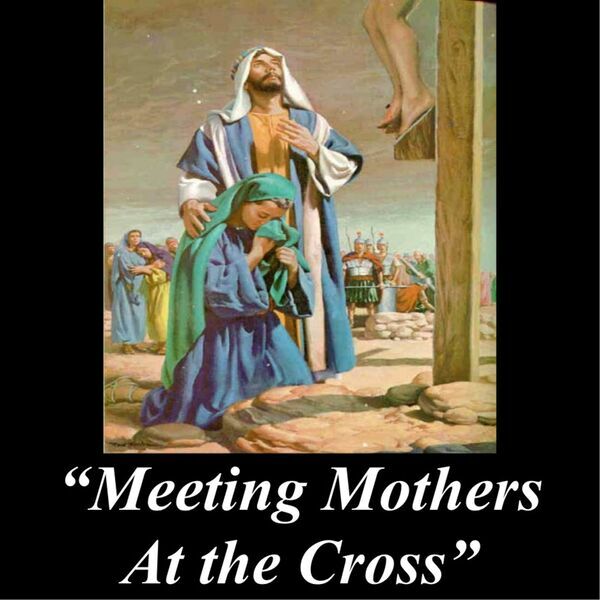 How does being a Christian change the way we look at mothers? Understanding the Bible Unit 2.4, "Clearing Up Concerns About the Canon"
Do you have an eternal perspective of your earthly pursuits? Understanding the Bible Unit 2.3, "Navigating the New Testament Terrain"
Do you know the difference between knowledge and wisdom? Do you believe that your trials are leading to your transformation? 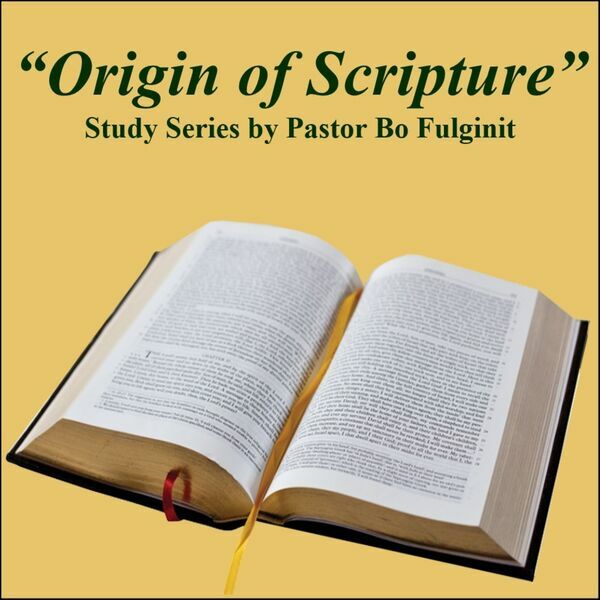 Understanding the Bible Unit 2.2, "An Overview of Old Testament Origins"
Did you know that God has offered to exchange your worst gift (sin) for His greatest gift (righteousness)? 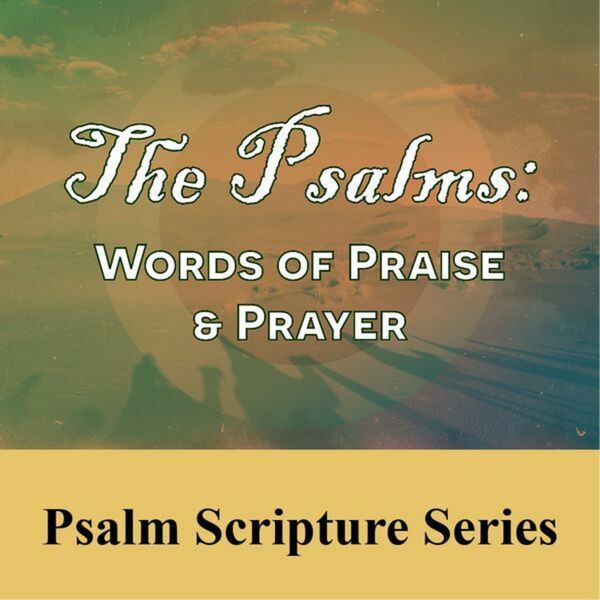 Understanding the Bible Unit 2.1, "A Display of Divine Inspiration"
Understanding the Bible Unit 1.6, "Wonderful Words of Life"
What lessons have you learned in your life through a divine appointment from God? When do you believe your anger is acceptable to God? 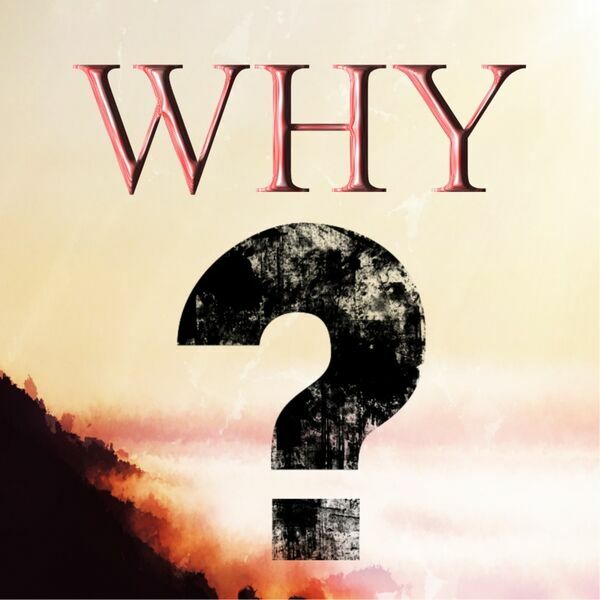 Understanding the Bible Unit 1.5, "Our Necessary and Sufficient Guide"
Understanding the Bible Unit 1.4, "Hearing God Loud and Clear"
If you were to die today, what would you regret not repenting of sooner? If You Had a Second Chance to Re-Do Anything in Your Life, What Would it Be? 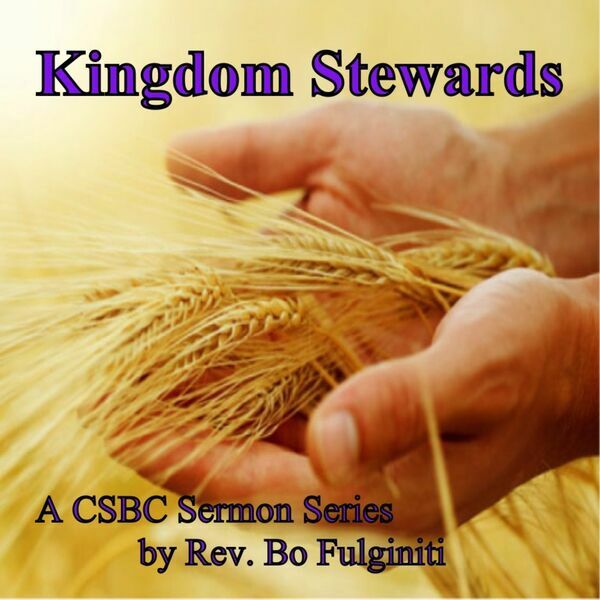 Understanding the Bible Unit 1.3, "Our Window to the World"
Understanding the Bible Unit 1.2, "Proclaiming its Purpose"
Can You Remember a Time When God's Punishment Turned Out to Be God's Provision? Understanding the Bible Unit 1.1, "Beginning with the Basics"
Do you have a healthy fear of God's sovereign presence, power and purpose in our life? Rev. 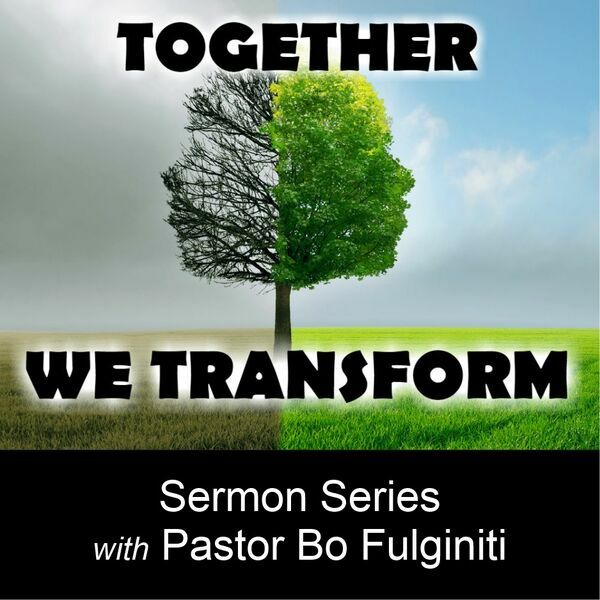 Tony Pagliarullo steps behind the pulpit to give us insight on what keeps a family strong and healthy. Are you abiding in God's Word as a true disciple of Jesus Christ? Who are you calling out to from the eye of the storm? What can the Bible teach us about the blessing of Scripture? 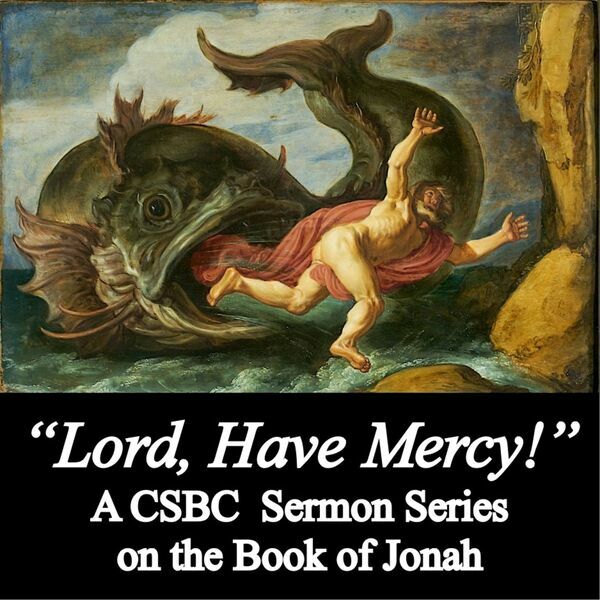 "Are you running away like Jonah today from God's Word, God's plan, and God's presence?" The Holy Scriptures are God's living and active Word. This Word discerns the truth of the human heart and exposes the sin of man, holding him accountable before a holy judge. 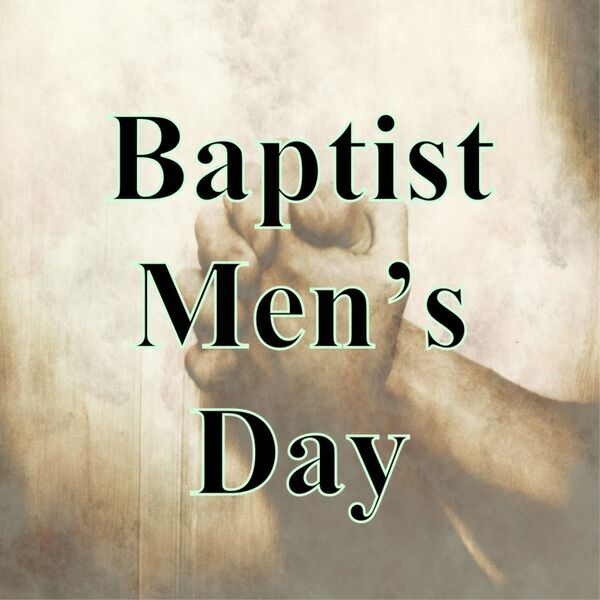 Brother Aaron Walden speaks for Baptist Men's Day. Are you investing in God's kingdom with an open heart as one of God's cheerful givers? What can the Bible teach us about the purpose of Scripture? How are you using your God-given gift today to serve His kingdom and bring Him glory? What can the Bible teach us about the origin of Scripture? Are you spending your time today living for the few short breaths of this life, or preparing for God's eternal kingdom in the life to come? 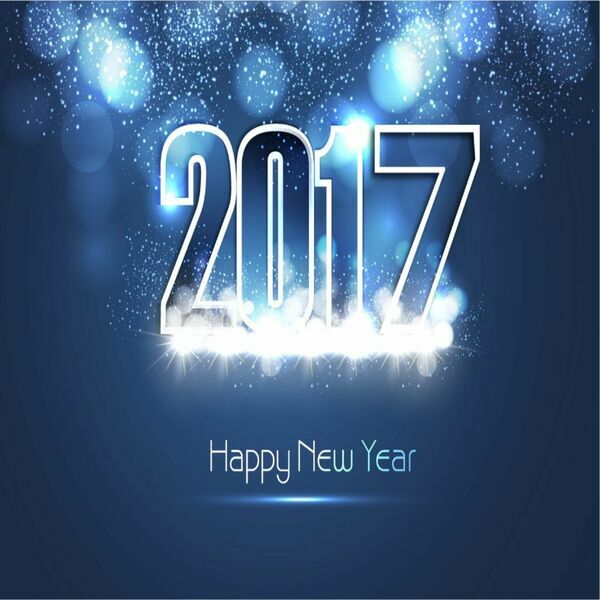 When God sent forth His Son, He offered us a new future, a new family, and a new fortune. 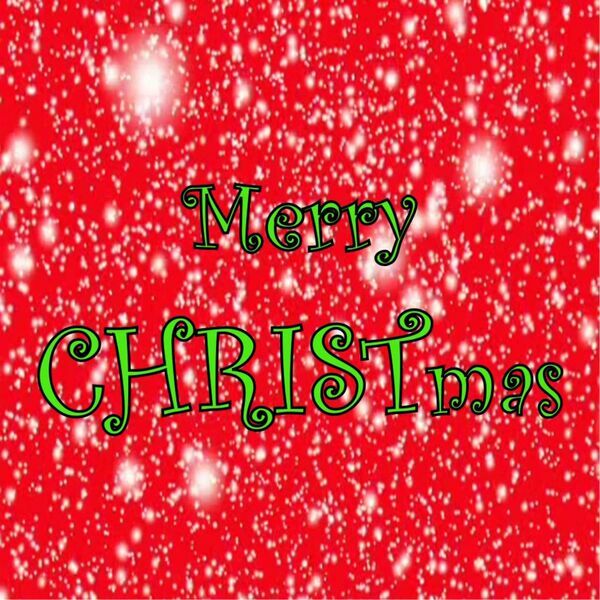 Have you unwrapped these gifts through faith in Christ? Are you willing to confess your sins so you can receive God's renewal of blessing in your daily life? Have you been honest with God about your sins so your soul can receive God's strength? Have you truly confessed your sin in order to receive the mercy of God needed for all areas of life? Have you confessed that you need God's cleansing of your unrighteous thoughts, words, and actions? Have you learned to love the discipline that is required to follow the Lord Jesus Christ? 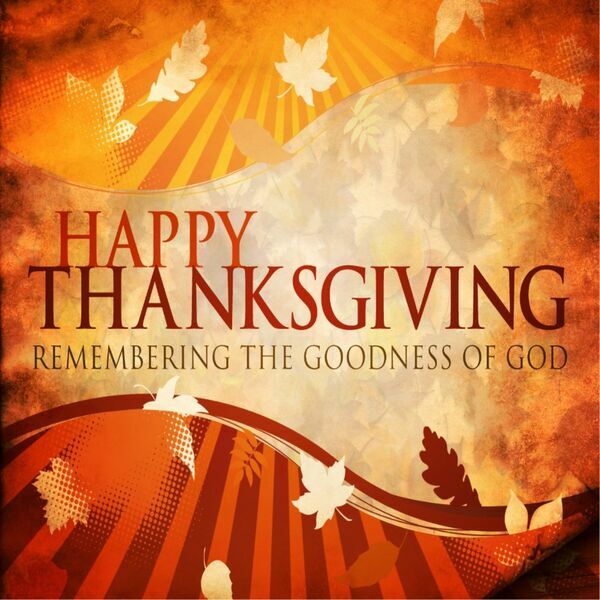 Are you thankful today for God's closeness and His character? Do you know the ways God can satisfy your thirsty soul? Do you know the divine blessings that come with practicing the daily virtues of honesty, humility, and integrity? Jesus Christ reigns as Lord of the Sabbath. Have you gone to Him alone to find rest? Sunday Evening Message. Did you know that to fully receive and respond to God's Word you need to use your mind, ears, eyes, heart, mouth, and feet? CSBC and Me Session Eight: "Joining the Family"
Pastor Bo concludes his eight week prospective member corriculum. Jesus Christ is changing old ways to establish a new kingdom. Are you willing to go "Out with the old, in with the new"? Jesus Christ is the Son of God who came to take His seat at the Sinner's Table. Have you saved Him a seat? Jesus Christ is the Son of God who has the authority to forgive all sin. Are you fighting His forgiveness? Jesus Christ can cleanse you from the leprosy of sin. Will you cry out to Him and be cleansed? CSBC and Me Session Seven: "Building a Worldview"
Pastor Bo continues his eight-week prospective member sessions with "Building a Worldview". 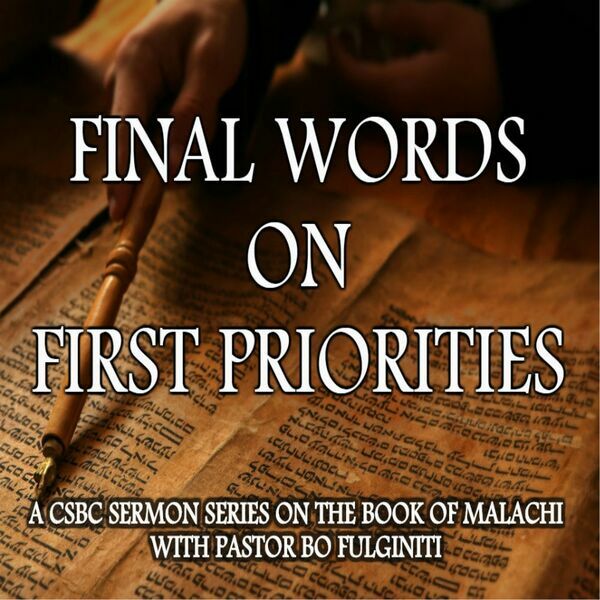 Do your priorities reflect the same priorities of Jesus Christ as a kingdom builder? CSBC and Me Session Six: "Supporting the Mission"
Pastor Bo is in his sixth week of the CSBC and Me prospective member sessions. CSBC and Me Session Five: "Reflecting the Kingdom"
Pastor Bo continues his eight-week prospective member sessions with "Reflecting the Kingdom". Christ has a heart to heal the broken, but have you confessed your brokenness to Him? 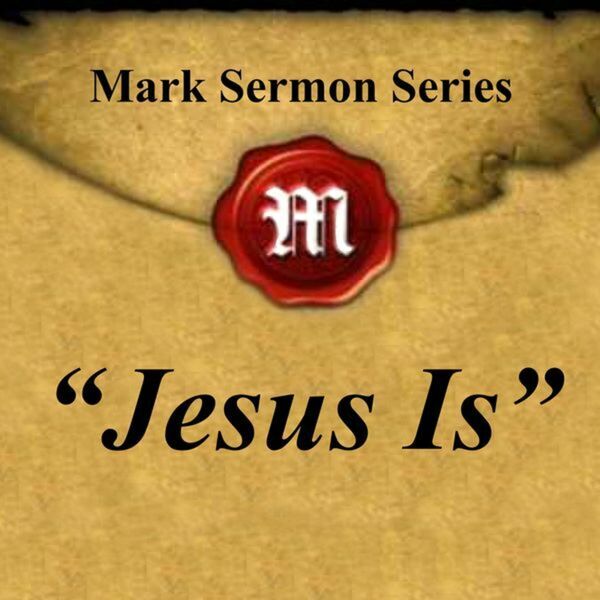 Part Four in Pastor Bo's Mark Sermon Series, "Jesus Is". Jesus established His higher authority as the Son of God, but does He have the highest authority in your life? CSBC and Me Session Four: "Being the Body"
Pastor Bo continues his eight-week prospective member sessions with "Being the Body". 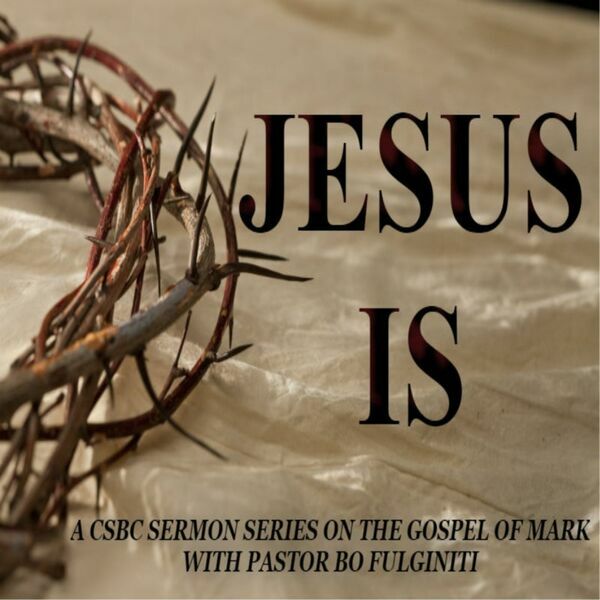 Part Three of Pastor Bo Fulginiti's Mark Sermon Series. Mark 1:14-20 "The Gospel is good news, but according to Christ, this news commands a specific three-fold response." CSBC and Me Session Three: "Proclaiming the Gospel"
Pastor Bo continues his eight-week prospective member sessions with "Proclaiming the Gospel". CSBC and Me Session Two: "Laying a Biblical Foundation"
Pastor Bo's eight-week prospective member sessions continue with "Laying a Biblical Foundation". 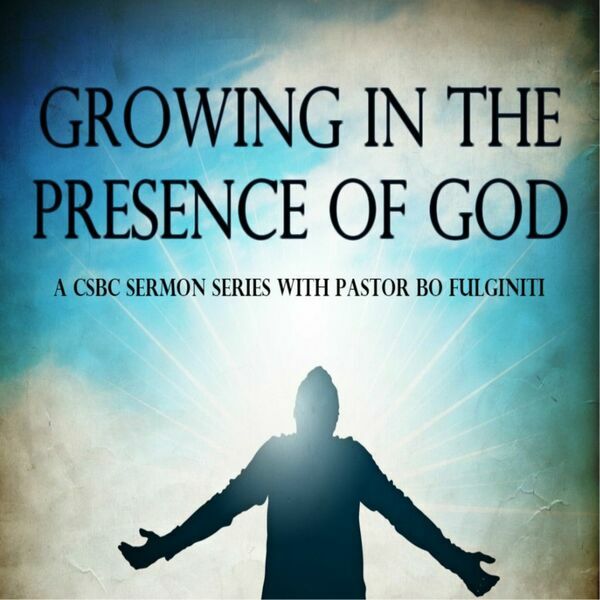 Part One of Pastor Bo Fulginiti's Mark Sermon Series. 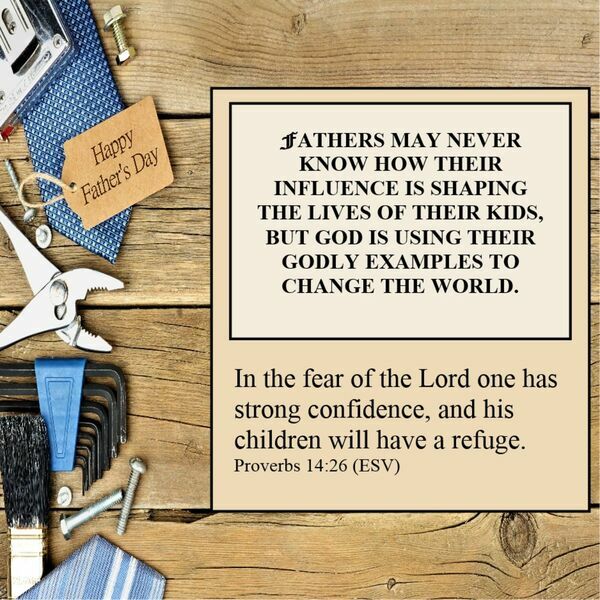 Mark 1:1-8 "Do you know a father who has always kept his promises?" 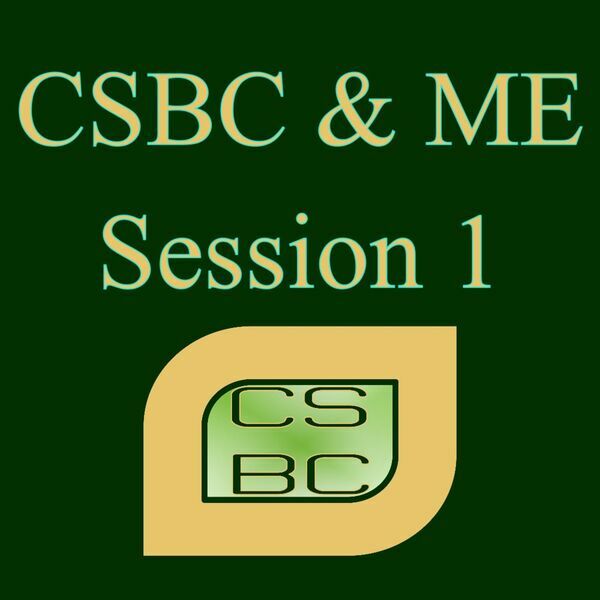 CSBC and Me Session One: "Getting to Know Us"
Pastor Bo's eight-week prospective member sessions start with "Getting to Know Us". 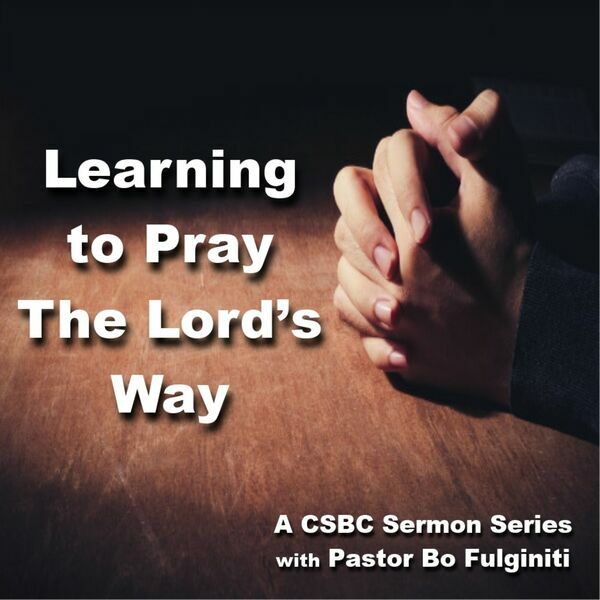 We want to welcome our new Pastor, Reverand Bo Fulginiti, to Cedar Street Baptist Church. 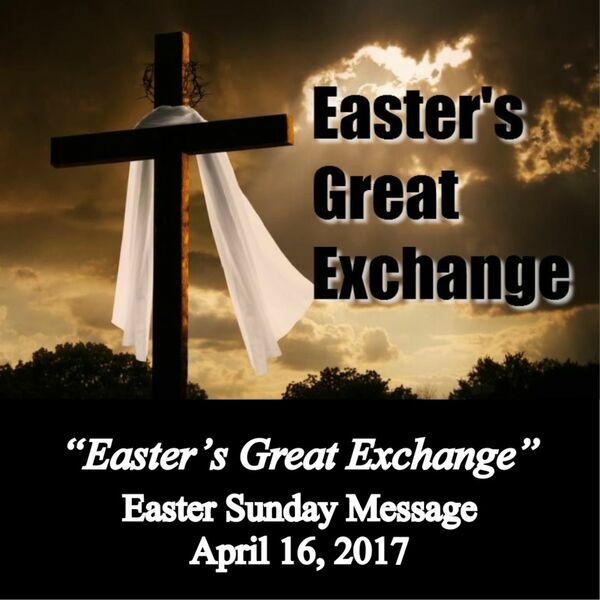 This is the last sermon our Interim Pastor, Reverand Larry Compton, preached at Cedar Street Baptist Church. We have truly been blessed to have him here. "Jesus Is Better Than the Angels"
All content © 2019 Cedar Street Baptist Church (Metter, GA).